In this helpful quiz each question describes a situation. 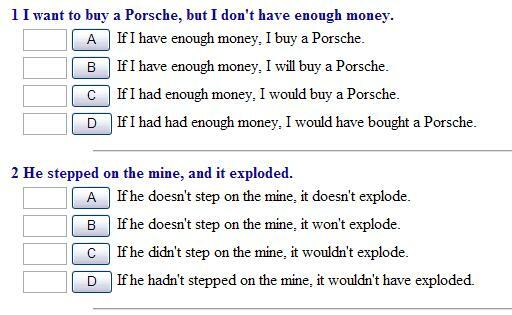 Based on the situation, decide which conditional sentence is the most appropriate. If you get it wrong you will see an explanation appear at the top of the page. Keep going 'til you get it right!